For an original costume idea, dress up as an early explorer. With thousands of years of history, the options for early explorers are plentiful. Dressing up like an early explorer allows you to momentarily become a part of history. 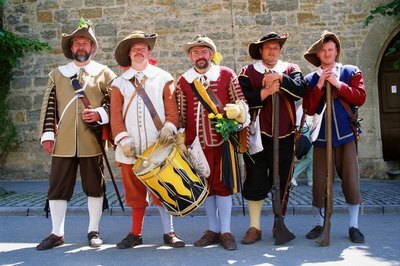 These costumes work well for Halloween, historical reenactments or other events in which a costume is needed. Pick an early explorer. Think about those grade-school history lessons for inspiration: Christopher Columbus, Leif Ericson, Meriwether Lewis or William Clark. Or Amerigo Vespucci, an Italian explorer for whom North and South America are named, could be another good costume choice. Other potential costumes include Ponce de Leon, Ferdinand Magellan, Hernando de Soto, Henry Hudson or Sir Walter Raleigh. Use accurate clothing for the time period. Look for portraits of your costume inspiration to develop an understanding of the style at the time. For instance, few portraits of Christopher Columbus exist, but one of the more well-known ones depicts Columbus in a puffy black shirt and tricorner hat. For explorers like Leif Ericson, try putting together a Viking outfit, with over-sized clothing and lots of layers to keep warm. 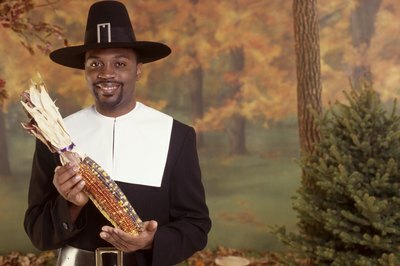 Pilgrim costumes consist historically of solid black with buckled shoes and steeple hats, but the pilgrims actually wore brightly colored clothing, as noted on the website Sail 1620. Some costumers sell pre-packaged explorer costumes for adults and children, if constructing your own costume proves too much of a hassle. Many explorers carried things like knives or guns to help them navigate unknown places, so a fake replica of the weaponry of the time can be used for authenticity. Hats also may be commonplace. For example, during Ponce de Leon’s time, large hats with feather plumes were popular for formal events. 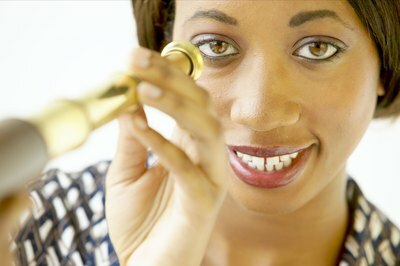 A telescope for explorers of the 17th century and beyond may come in handy. Your costume may not be instantly recognizable for some people, so carrying some kind of hint may be helpful. This could include a map to your explorer’s location or a globe with the discovered land pointed out.